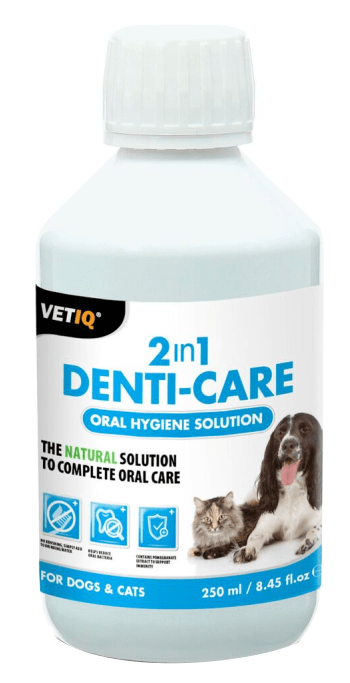 VetIQ 2in1 Denti-Care Oral Hygiene Solution has been specially formulated to give your pet the very best oral care and help maintain good dental health. The active ingredient, Pomegranate extract (Punica Granatum), is a natural plant extract which has been mainly proven to reduce dental plaque. It’s easy to use and no more brushing is required. Simply add to your pets water bowl daily to be consumed through their normal water intake. All dogs love to chew on things particularly puppies but it is more prevalent during the teething phase. For teething puppies, when their teeth are “erupting”, their gums are extremely sore and raw. To alleviate the pain and irritation, they tend to chew, bite and gnaw on everything they can get at. 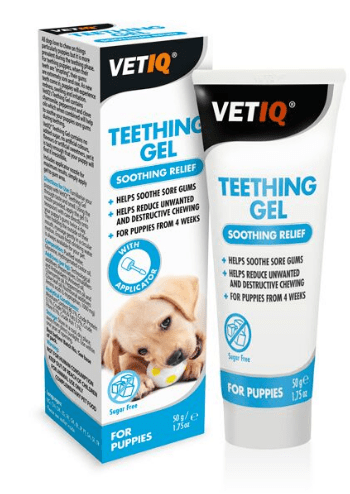 By soothing sore, irritated gums, VetIQ’s Teething Gel Soothing Relief helps reduce the amount of chewing a puppy may need to do to ease the pain during teething. 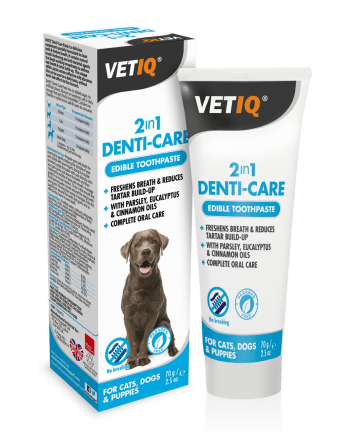 VetIQ 2in1 Denti-Care Edible Toothpaste is a delicious supplement specially formulated to clean teeth and freshen breath. It contains natural breath-freshening and anti-bacterial agents that begin working immediately to address bad breath and tartar build-up. This unique edible toothpaste contains effective mild abrasives that can be used on a daily basis, without harsh side effects to the stomach. 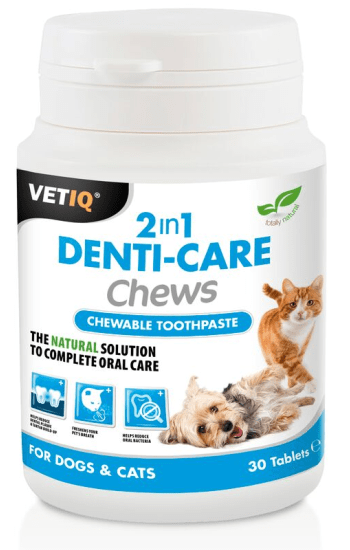 2in1 Dent-Care Chews contain a unique blend of pomegranate extract, peppermint and parsley seed oils to freshen your dog’s breath, whilst also helping to reduce dental plaque. This natural Antioxidant, Pomegranate extract, also has the added benefit of aiding immunity and promoting collagen formation in the gums. 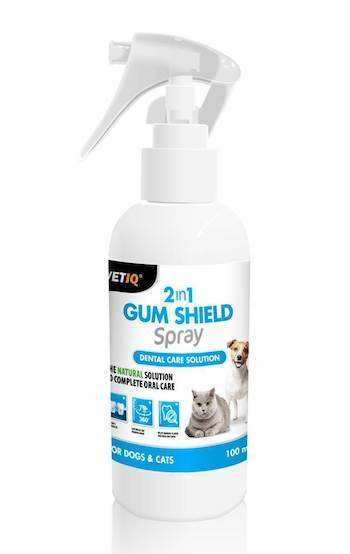 VetIQ® 2in1 Gum Shield Spray contains an advanced formula designed to help reduce oral bacteria, maintain gum health and prevent the formation of plaque. 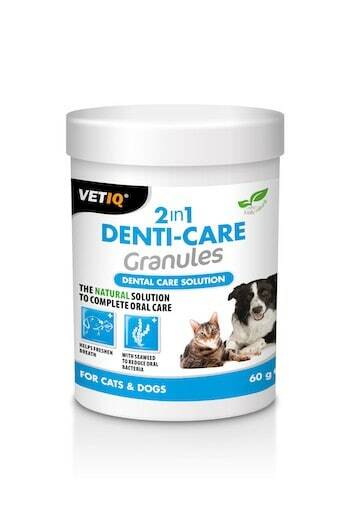 Containing a unique blend of Pomegranate extract, Peppermint and Parsley seed oil, it freshens your pets breath whilst promoting a clean healthy mouth.